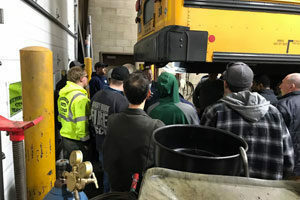 NEWTOWN – In an effort to keep students and drivers safe in Newtown, All-Star Transportation recently held a special training session for local firefighters to educate them about the propane-fueled buses that were rolled out for this year for the first time in Newtown. 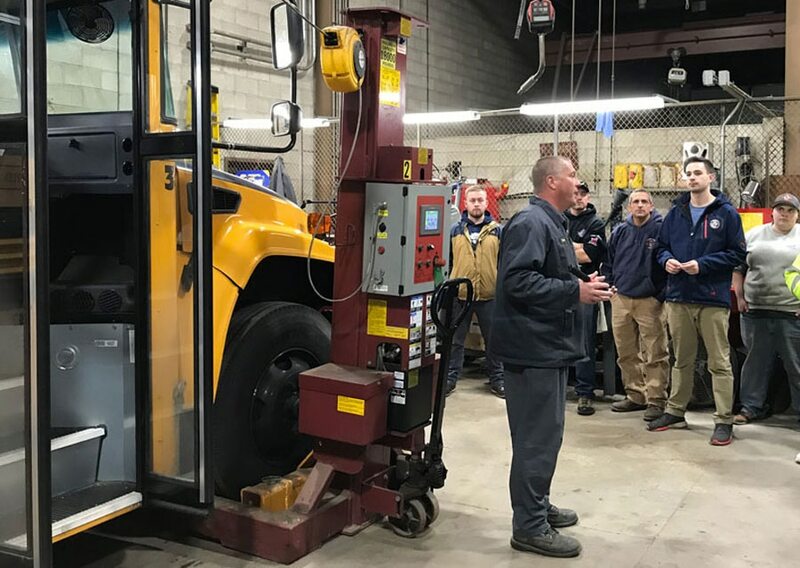 Steve Rosko, All-Star’s director of maintenance, led the information and training session for members of the Newtown, Sandy Hook, Dodgintown and Hawleyville fire departments that focused on the mechanical systems of propane buses. All-Star provided the training in an effort to prepare first responders for an accident or other incidents involving a propane school bus. The town’s Public Works Department provided use of one of its truck bays, which made it possible to offer hands-on training. The bus was raised up, providing easy access for all members of the fire departments to see the fuel system lines, pumps and emergency shut-off valves. Rosko also delivered an in-depth introduction to the engine and fuel systems, as well as discussing the type of fuel used and the fueling procedure that is used. Following the training session, members of the fire department expressed their thanks to Rosko and All-Star Transportation. “Being prepared is always the best action for safety, and now the operation of the new propane fleet in Newtown is safer because of it,” Rosko said.